I love Christmas music, both old and new. Since childhood, Christmas has always been my favorite time of year. I have written and arranged music for many years too and because of that it is only natural that I want to share some of it with you. 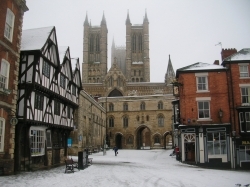 This page features some new Christmas songs I have composed myself. It also features new arrangements of old favourite carols, lesser known carols and music I genuinely enjoy playing. You can listen to music, follow links to buy Christmas sheet music online or even buy Christmas music gifts. My hope is that you will find something very special here or on one of the many music links. Intro image, Cathedral from the Castle, by Photahsiamirabel. Please do not copy. These books represent a project I was doing for students of mine over the years. They started out as individual handwritten arrangements, then I set them in print with Sibelius software. Finally they were published in book form! The biggies.... It is always such fun to put together an orchestral number, put it to the Sibelius forum and ask for the comments of your peers. Sometimes the comments can take you down a peg or two, but I am encouraged by the reception my compositions and arrangements generally get. I want to feature several on this lens including an over the top arrangement of my favourite Holy Night, the very jolly Jingle Maria and an orchestration of a piano piece by John Pridham which is more seasonal than actually Christmas! In response to requests received for When Santa Got Stuck In The Chimney, this is still in copyright and therefore is only available in stores. You can use my search engine here, or failing that try Music Notes. When music is still under copyright it cannot be legally arranged or given away in digital format. 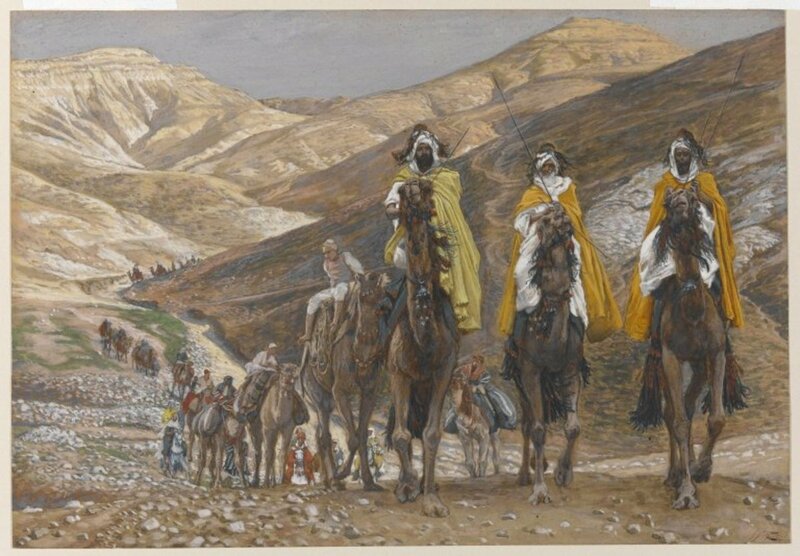 I intend to put up lead sheets for the Huron Carol and Jingle Maria very soon. Free and cheap band arrangements of all standards are available on www.SibeliusMusic.com where you will find plenty of music for brass bands and marching bands too. Try the search engine there - I would be interested to know if it works for you! My arrangement of Holy Night is only available on Scorch as yet, but I may add a vocal line and publish it as a pdf on Lulu this weekend. More when I do! Incidentally, I have also just published a version of Holy Night for Descant Recorder and Harpsichord on Lulu. 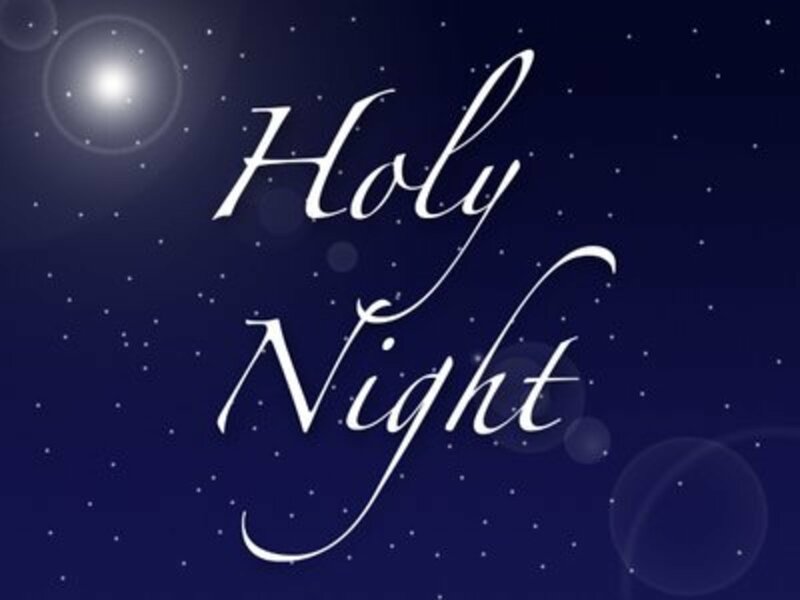 O Holy Night - Descant Recorder and Harpsichord. An arrangement of this beautiful and much loved Christmas Carol by Adam, arranged by request for descant recorder and harpsichord. This arrangement may be played on flute and piano if preferred. In group teaching, very often you will have a group of beginners together and come Christmas they will need something for that school concert. My Christmas Ensembles were intended as flexible, any number can play from two up, and sometimes there are guest parts for other instruments such as flute, drums, cor anglais or recorder. These are some personal favourite of mine and they work really well with small groups. Ding Dong Merrily - a rocky version! 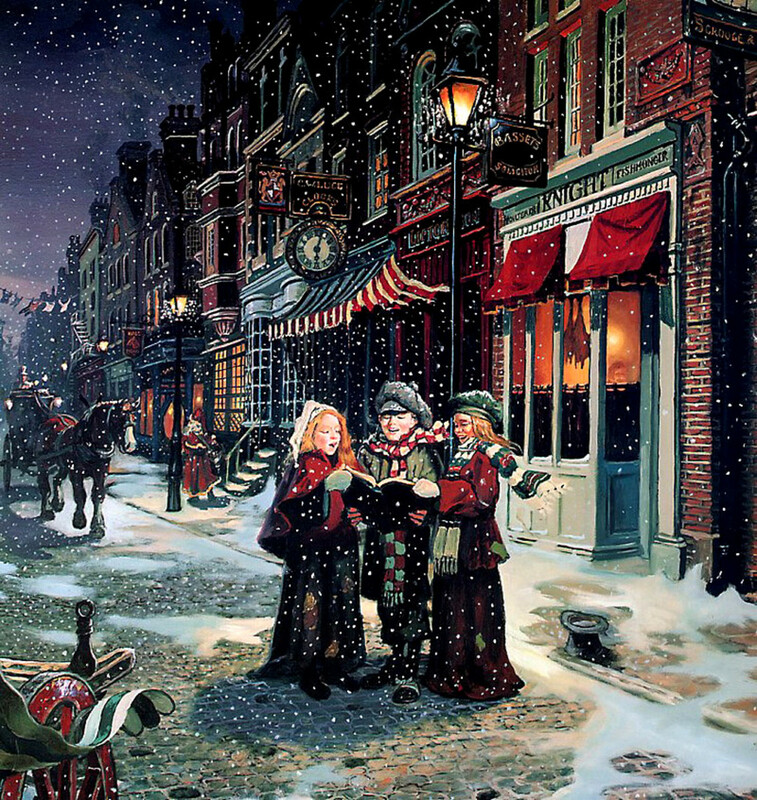 This arrangement of this lovely old Basque Christmas Carol is for two flutes and fingerstyle guitar with TAB. It is a PDF, so no need to download any programmes to print it! 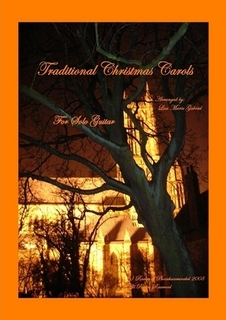 These simple traditional carols are in easy to see large print with note name noteheads and chord letters only. Tunes are given only, for visual comfort, and this collection is suitable for young beginners or visually impaired to play - also a useful busking resource! Available as a book or DRM protected pdf download. I am a guitarist first off! I started playing when I was eleven years old and for many years I have made my living teaching the guitar. I play all sorts of styles, but started with classical, so if you visit Dolciemuse on the sibeliusmusic website you will find a lot of guitar solos, with and without TAB. I try to make them melodic and flowing even at the beginner level. There are quite a few beginner carols and the single note ones (playable on any instrument) are actually free. My first love is my guitar. I learned finger style many many years ago at my parents' insistence - they wanted me to read music and to play properly. I always enjoyed working tunes out on my guitar and just as soon as I could, I learned to write them down and share them too. Here you can listen to the entire MP3 too! Just responding to some friends' suggestions here, and with the help of another Squidoo member I have found a site where I can host MP3 files. I will upload some of my favourites for you to sample and if you like them they are available for sale. Of course this is not really alternative in the rock sense, just a nice alternative to the choral version. Somebody missed the Seasonal Button ;) This arrangement for three guitars and flute is produced with Sibelius software. I can't guarantee everything you need is here, or that it is free, but I can promise a few smiles and some great music. You can buy new Christmas music or simply enjoy it! I have had a few enquiries about pdf scores. Generally I post my music in Scorch, but if you see one you like and would like to purchase it in pdf format, contact me and I will post it to Tradebit and put a link here. My song Jingle Maria is now free to listen for Napster subscribers or USA citizens on Free Napster. It is also available also on Amazon, emusic and I-tunes to buy and download should you like it. It is as bouncy and happy as I could possibly make it - as I feel a family Christmas SHOULD be! Anyway, I hope your Christmas is as joyful as it possibly can be too. So, without further ado, let's all gather round the tree! Sadly the nine link rule restricts how many things I can preview for you, but my hope is that you will follow the links and explore the catalogue for yourself. When you think about it though - nine links, nine lessons, nine carols... all ties in doesn't it? Please leave messages hear and I am grateful to read them always! Christmas songs, old or new are loved by everyone! Thanks for sharing those links. The Christmas music is definitely one of the best parts of the season. Great lens! Amazing list of music. Thank you for sharing the beautiful pictures as well. i can tell you worked really hard!!!! great lens!!!! Very nice lens here, you can tell you spent a lot of time on it! While listening to your music I strolled through your lens. Lots to see, I sure have to come back sometime. Like you snazzy boxes. I have read that people do not typically like the colored boxes but I am very glad to see that there is someone else who likes to use them just the same as I do. Great job. Thanks for visiting my lens today! Not only chock-full of info, it's beautiful to look at. Loved this lens! Your research on this is amazing. I expected to see same old, same old. Instead, I felt like I was learning all new things. Hi lisa, I promised to return to this lens, if ever I got given Angel wings, because I just loved it! I was given them this month Congratulations *You have been sprinkled by Some Angel Dust* Blessed..
Hi Lisa. i really like O Holy Night. You are a very talented lady. 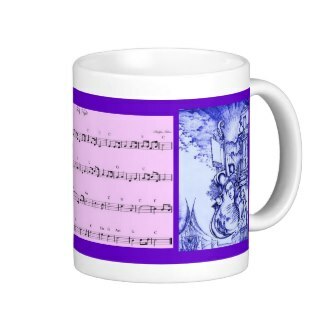 WOW ~ I stopped by to say thank you for blessing my music theory lens and am now a fan of yours! The songs are beautiful! I especially like the ones with flute (smiles the flautist). I'll ask some of my guitarist friends to play them with me this year. Thanks again for your "Angel Blessing" to my page. I've added a section for you on my "Angel Gratitude" page. Blessed and featured on my Squid Angel Diary this week. I was reading Kathy's great lens about you and just had to click over here to find out for myself and I am sure glad I did. Very nice, indeed! Well you just made my mom's day! I enjoy some xmas music myself but my mom is an xmas music fanatic, she loves this lens. These are all very beautiful songs, and I especially loved Jingle Maria. Thanks for sharing and making it available here! I was looking for an MP3 download for a Video I am trying to make on http://animoto.com/ have you heard of this...they also have music, but I get very confused with this. Love the music, perfect for Christmas. I feel very festive now!